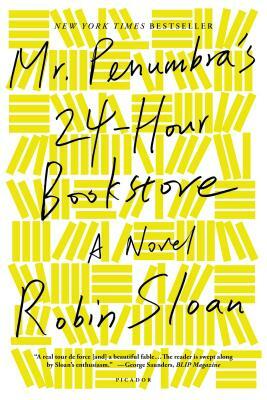 When Clay loses his high-tech programming job, he decides to take the late shift at a curious bookshop that is open 24 hours. Once he begins working there he realizes that it is more curious than he first thought-- most of the "customers" are regulars, but no one ever seems to actually buy a book. Clay decides to find out what is really going on, and thus begins an intriguing and fun adventure that is full of surprises. Funny and clever, loved it from start to finish!